The pure essence or living force of the plant is found in its essential oil. 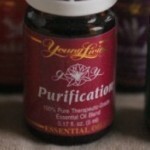 Plant oils have been used for many years to promote both psychological and physical benefits. They can be inhaled or are used topically. Combined with a massage they exude a luxurious experience that balances mind, body and spirit. The Raindrop Therapy or Technique, inspired by Native American legend, has been used for years as a highly effective method for balancing and rejuvenating the mind and body. Nine essential oils are used which can bring about electrical alignment and help relieve a variety of discomfort caused by imbalances in the body, especially found in the spine. Please review The Raindrop Therapy under ‘Single Therapeutic Treatments’.